Matthew Miner is a Paramedic and Field Supervisor for Action Ambulance Service. Matthew brings nearly eight years of EMS experience to our community. Matthew began his career as a volunteer EMT-Basic for Hampton Falls Fire in New Hampshire, which inspired Matthew to serve his local community. Matthew loved the work, and so began his career in EMS. 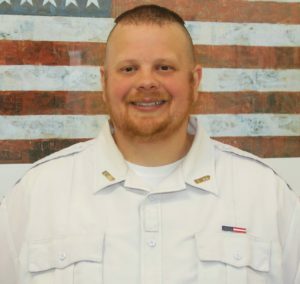 Matthew proceeded to join AMR as an EMT-Intermediate, where he continued his education to attain the ranks of Paramedic, Certified Intensive Care Provider, and Field Training Officer/Supervisor. Matthew also spent time working per diem at the Rye, Kensington, and Kingston, New Hampshire Fire Departments. Matthew has impressed us with his dedication to improving Action Ambulance Service in every way. Matthew is personable, easy-going, and his strong medic skills make him a go-to resource for fellow employees. Matthew has become an integral part Action’s leadership team, and is always willing to help out across the organization. Matthew is committed to our industry, and his future plans include attaining the FP-C credential and advancing to the role of Flight or Critical Care Paramedic. Matthew also looks forward to continuing to teach and mentor new EMTs and Paramedics. In his free time, Matthew enjoys spending time with his family, which includes two children, ages four and two.